2 years in PDX, time to mix it up! 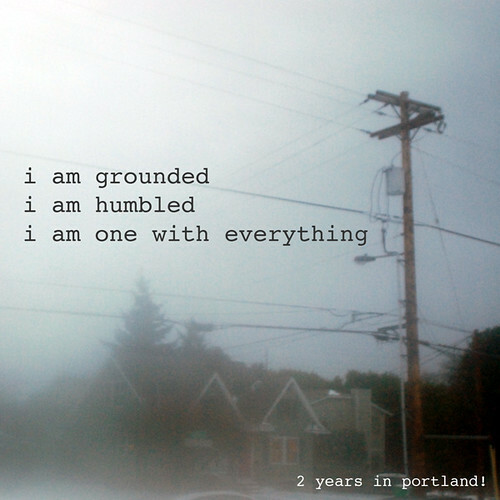 Last weekend we hit 2 years living in Portland (Portlandiversary, as Caitlin called it!) – and it’s been a fabulous 2 years! So I made a mix to celebrate! I hadn’t made an official mix, complete with title and artwork, since my moving to Portland mix, so I was excited to put some effort into this one! 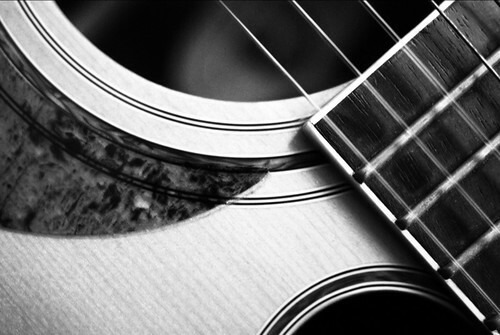 It doesn’t tell a story like that one did; it’s just music I’ve gotten into since moving here. 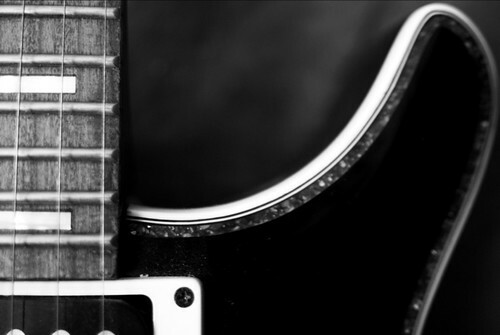 I always associate music with a place or a time in my life, and I have been pretty out of touch with new music since college, so most of the music I listen to these days was music I was into way back then. So most of my music makes me think of San Diego, my college radio DJing days, 2/3/4 shows a week days… There’s not a whole lot of stuff I’ve newly gotten into since living up here, so this mix is just that – bands/artists/songs I associate only with Portland! Want me to go into detail? Ok not tooo much detail, just a little…..
Laura Gibson is my most Portland-associated artist – she’s from here, I first heard her on the PDX Pop Now! mix I bought at Q is for Choir when we first moved here (the song on my mix), we saw her live at an awesome Portland venue (The Old Church) with our awesome Portland friends (Caitlin and Patrick), and the song is even rain-related! I was aware of Kimya Dawson pre-Portland, but mostly only through the Moldy Peaches; didn’t get into her solo stuff till Portland. I saw her live here (with Tender Forever) at a super Portland-tastic show (at the Village Free School), and her song on the mix is where the title came from. There are 2 songs by The Decemberists not because I love them that much, but because of how I got into them, or something… I didn’t like them much, but I tried, living here and having friends who were crazy about them, so I checked out a couple different albums, not caring much for any of them – except for the Raincoat Song, I loved that song! Plus, again, it’s rain-related, so yeah, it had to go on the mix. Anyway, that was pre-Hazards of Love. When that album came out I decided to give them another chance, and I ended up totally falling in love with it! So, to me, The Decemberists pre-Hazards is like a different band than Hazards of Love Decemberists, hence the song from Hazards and the Raincoat song both making the mix. I didn’t really want the song from Once on there because it’s so overplayed, or at least it was for awhile back there, but it had to be because Once is one of the first movies we ever saw in Portland (at the Hollywood) and the soundtrack was one of the first CDs I bought in Portland (at Music Millennium) so it’s super Portlandy in my head. And I used to love it a bunch, before I got sick of it… but it’s still a nice song. Oh yeah, and the photo on the cover was taken around the end of the snowpocalypse last December through our front window. 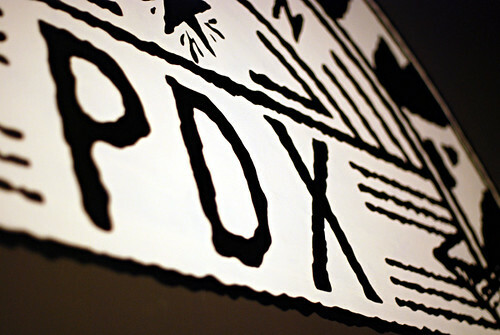 It doesn’t have any special meaning or relation to the songs, I just like how it looks, and it’s from our Portland home. So, enough about that. The mix write-up is kind of instead of going through things that have happened in the last 2 years, because that would be way too much to go through. 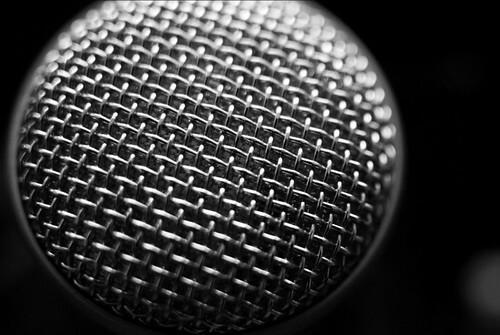 One exciting new thing, though – Pete’s mastering studio is just about up and running! The website is still pretty placeholder-y but the basic info is there (we’re still working on a real logo, and since the studio is still being remodeled, photos of the space don’t exist yet). So, I’m really excited that Pete is pursuing his dream career, since I’ve been pursuing mine for a couple years now! With some hard work and some luck, a few years from now we’ll both be doing only things we love!! 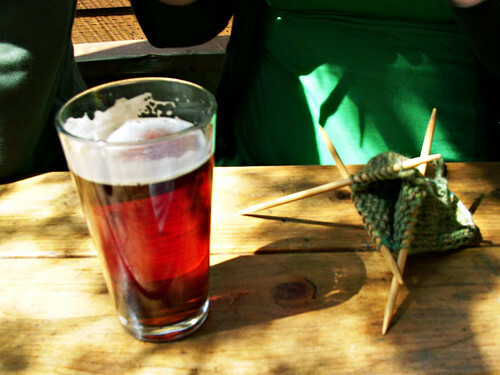 One last, unrelated thing: don’t forget that tomorrow (Tues) is the last day to sign up for the Sept quick knits club! There is one change since last month – you know how the extra versions of the pattern in the August club were a bonus, since there was only supposed to be one pattern? Yeah well, I decided to change that so that there will always be patterns for both yarns instead of just one! Yay! 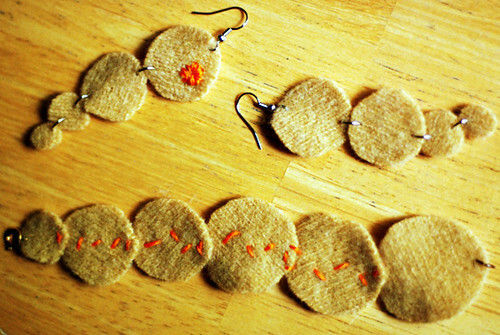 how-to: Recycled Sweater Wool Jewelry! do stuff! is in need of a new tutorial, don’t you think? It’s been awhile! This is a project I’ve been teaching at the Multnomah County Libraries all summer – my last class is coming up on Thursday and I think it’s about time I share it with the rest of you! 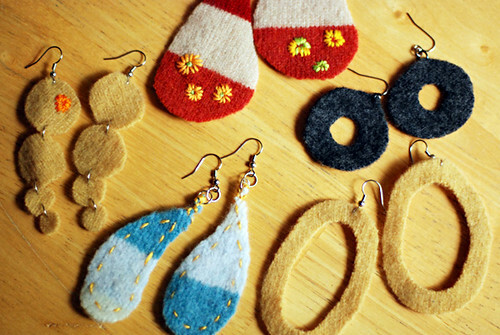 It’s a simple concept: cut a shape or two or more from a felted wool sweater, attach the pieces to jewelry parts – that’s it! Well, that’s not really it though, you can make it so much more! I hope they don’t mind me sharing their awesome creations. 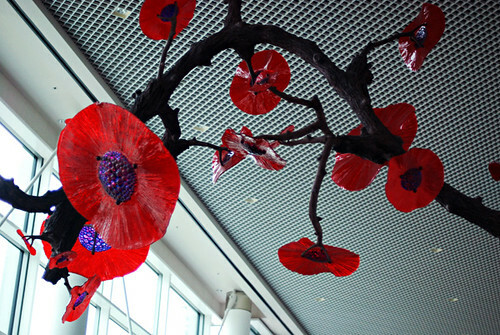 I didn’t take photos in any of the previous classes, which I now regret – every single class has had amazing pieces! Don’t you love that pendant on the bottom?! I do! It was made by the library helper at the Sellwood branch, who clearly has fabulous color sense and design talent! 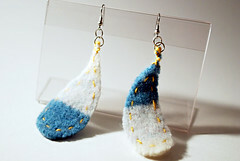 I made these pieces as more class examples – a matching set of earrings, fastened together with jumprings, and a bracelet, the pieces stitched together with embroidery floss, to show different ways of joining parts. 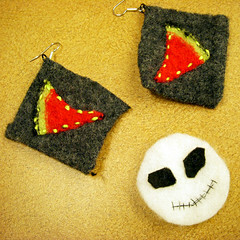 Cut shapes from felted wool. 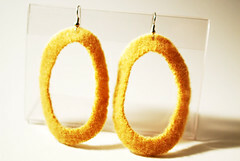 -or joining pieces together with jump rings. 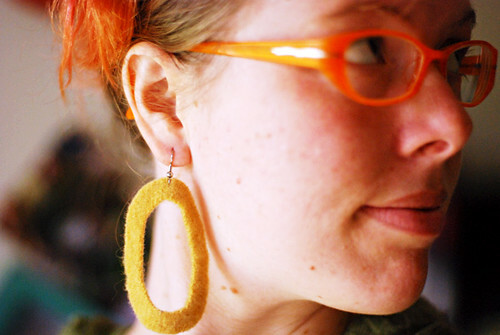 Attach clasps, earring wires, or other finishing parts. 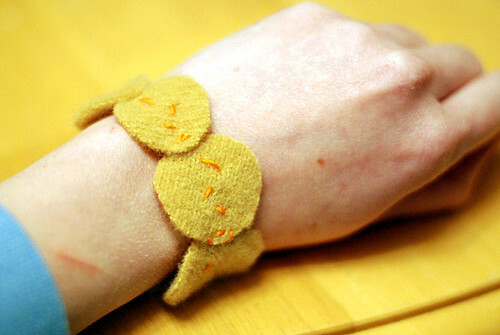 Add embroidery decoration or other optional embellishments. 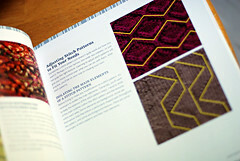 When stitching parts together, if you want the piece to be able to stretch, use zig zags or diagonal stitches. Use jewelry pliers to work with jumprings, clasps, and other parts to close them tightly. 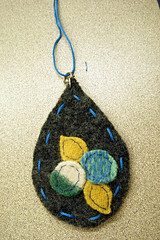 Cut any shapes you want, either freehand or using a template (paper or felt). If you want 2 identical parts, cut 1 first, then pin that one to the second piece to cut it the same. Of course, I’m there for individual help in the classes, with using pliers, sewing, etc, so I’ve linked to a few how-to sites to help you along with any parts you’re not familiar with. 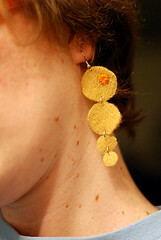 You can also use my earring making tutorial on Craftstylish for help with jewelry-making steps. 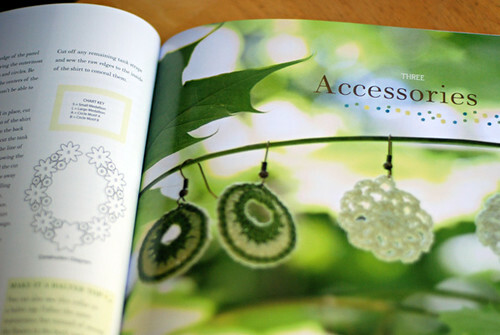 If you want a book to help, I definitely recommend Susan Beal’s Bead Simple – she’s the one who taught me how to make earrings! These are craft felt templates I cut for students to use if they want. 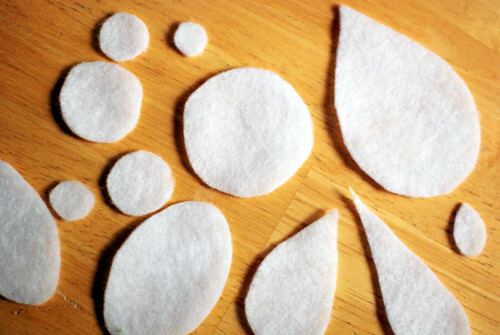 If you’re not sure what shape(s) you want, or you want multiple identical shapes, it’s a good idea to play around with some cheap craft felt before cutting into your sweater. 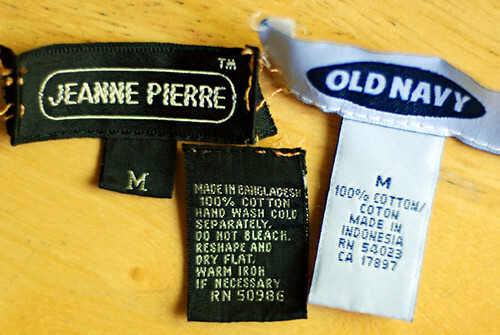 You can try different shapes until you get it just right, then pin the shape onto your sweater and cut around it. To make recycled wool felt at home, choose a sweater made of 100% wool, or with other animal fibers (like alpaca, angora, cashmere). Machine wash and dry the sweater on hot or warm settings; this will shrink and “full” the sweater, turning it into felt. If you want it thicker/denser, wash and dry it again to felt it more. So, I hope this was enough of a how-to for you. Comment if you have questions and I can add more if I need to. 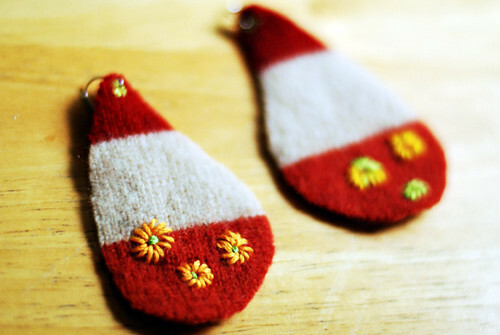 Grab some felted wool, jewelry findings, and embroidery floss, and have fun with it! Take it even further by adding beads, buttons, sequins, or other bits of crafty fun! Yay! first ever Quick Knits Club! 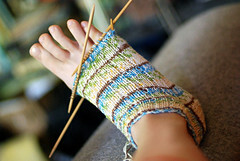 First, to kind of go along with the beginning of the club, I started a leethal ravelry group! It started out leethal quick knits specific, but then I decided to change it to a general leethal group, so that’s that! Most everyone who joined the first month of the leethal quick knits club should have gotten their packages by now (if you haven’t, let me know and I can check on it!) so now the mysteries can be revealed! I’ve added the contents list and photos to my club page, as I’ll do with each month once they’re in the hands of the members, and I’ve also made another change to the page. I’ve learned that because the packages weigh so little, it’s only an extra dollar to ship outside the states, so anyone can sign up on the site now instead of having to email me (two separate sign up buttons for within the US/Canada and international). I guess there’s a chance I might be wrong and some countries might cost more to ship to; if that happens, I’ll change things again… for now though, US+Canada shipping is $2 (it’ll take longer to get to Canada though) and anywhere else is $3. Anyway, on to the fun stuff! 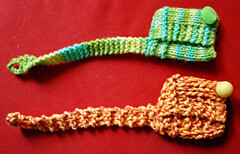 Here is August’s club pattern (ravelry), with multiple variations! 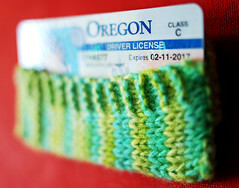 Above, the main Strappy Pouch design, which buttons around your wrist or ankle; below, the bulky yarn version of the strappy pouch, and the mini-wallet variation, with no strap or button. 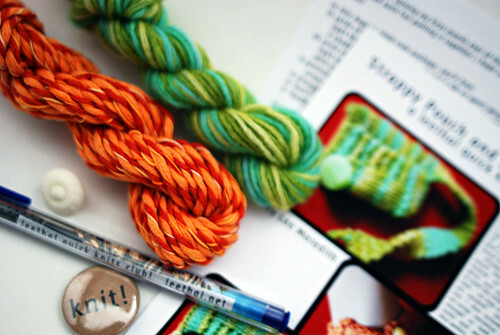 The yarn colors for this first month were inspired by my new website design – with oranges like the main/background colors, and greens/turquoise like the text/link/accent colors. 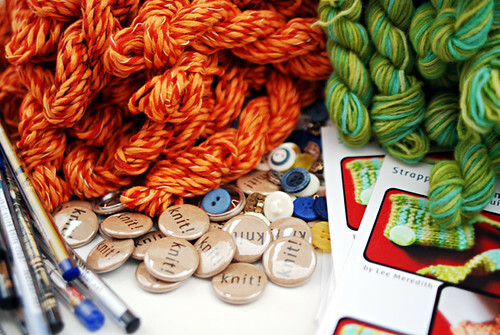 That’s everything in each club package: the 2 mini-skeins, the pattern (printed on 100% recycled photo-quality cardstock), a vintage/recycled button for the pouch, a knit! 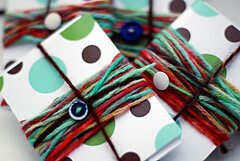 button (printed on recycled brown paper), and a leethal quick knits club pen! 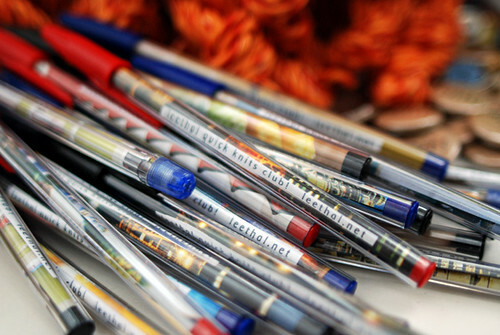 I had so much fun with the pens! 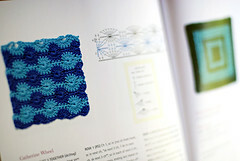 I printed “leethal quick knits club! leethal.net” filling a sheet of white paper, cut them into thin strips, and cut fatter strips from a bunch of magazines for the background images – from Portland landmarks in a Portland travel magazine, to yarn from knitting+crochet magazines, to random cool imagery from design and other mags. 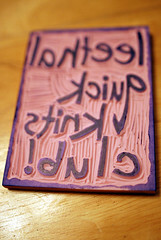 And then I carved a club stamp! Each package comes in a recycled envelope (from Scrap), so to make the packages more exciting, I stamped the backs! So that’s my first club package! 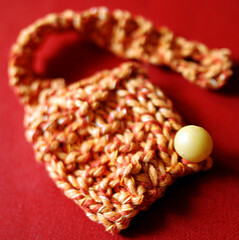 As you can see on the webpage, each month will have original yarns+pattern, but the extra goodies (buttons and pen in this one) will change each month! You can sign up for the September club package through Sept 1st! 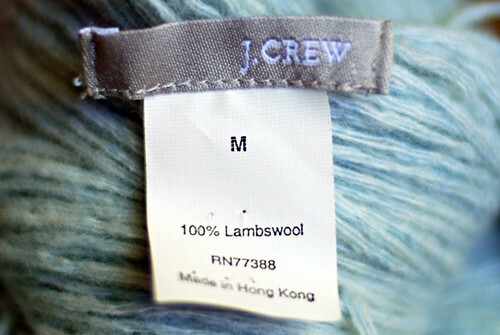 One more thing – I had a 276 yard skein of the lambswool yarn left over, so I’m selling it to an August member who wants to make something bigger with their club yarn. 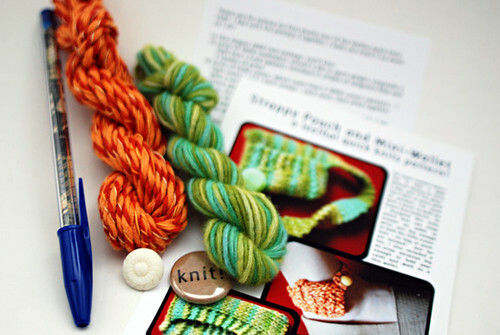 I’ll probably be doing this most months, as I try to make more yarn than I need (better too much than too little) – so that’s another bonus of club membership! I’ll always offer the leftovers to members only, to keep the yarn unique to the club. As for the pattern – club members got the pattern in pdf and postcard forms, and they’re the only ones who get it for at least a few months. I’ll probably be grouping club patterns together in sets and selling them in the future, once I’ve been doing the club for awhile. So, non-members will be able to get the pouch pattern at some point, possibly by November or December since it would be great gift knitting! Ok so now I ask a favor – whether or not you were a member in the August club, I would love any feedback you might have! If you thought about joining, but decided not to, let me know if there’s something that would have changed your mind, or if there was a specific reason you didn’t want to join. This whole club thing is still in its beginning testing phase, so everything is open to change, and I’d love to make it better! Thanks! I’ve become a little obsessed with this meal lately, working (and eating) at home every day – George Foreman grilled quesadillas are super easy, healthy(ish) depending on your filling choices, and so delicious! You need a GF grill big enough to fit your tortilla, or else you can fold one tortilla in half and make a half-size snack. My version is vegetarian, but of course you can substitute meat or vegan ingredients as you like. You can also make a higher quality meal by using fresh ingredients instead of frozen, and you can use non-breakfasty ingredients for a lunch or dinner version; use whatever you like, it’ll be yum! Plug in the grill, put in the hash brown and sausage patties, grill for a few minutes. Put the patties on a plate and cut them up into small pieces. 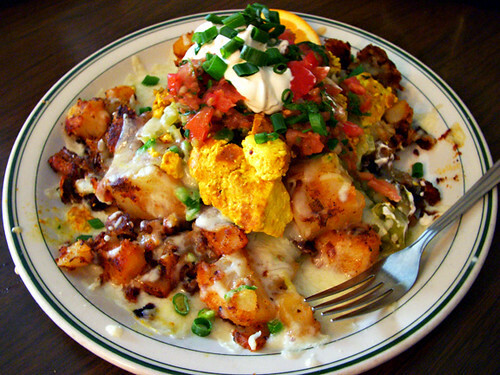 Place one tortilla on the grill, spread the hash brown and sausage bits over it evenly, add a layer of frozen veggies, then a layer of shredded cheese. Top with second tortilla, close grill, grill until tortilla top is browned, cheese is melted, and veggies are done (around 7-8 minutes I think). Transfer to a plate, let cool a minute, cut in quarters, let cool a couple more minutes, eat! Yumyumyumyum! 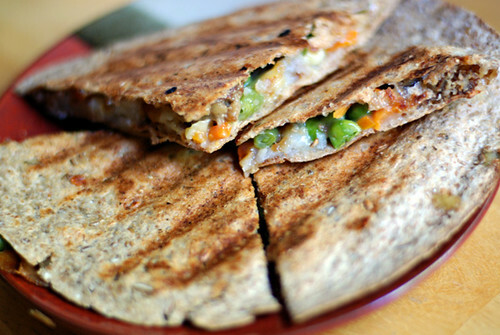 Other ingredient ideas – add sliced mushrooms on the grill at the beginning with the hash brown and sausage; use a frozen veggie mix that includes beans too (some have black and/or kidney and or/garbanzo beans); use ripped up pieces of fake turkey instead of fake sausage for a lunch quesadilla; use pepper jack cheese for some spice; add fresh spinach instead of or in addition to the frozen veggies….. 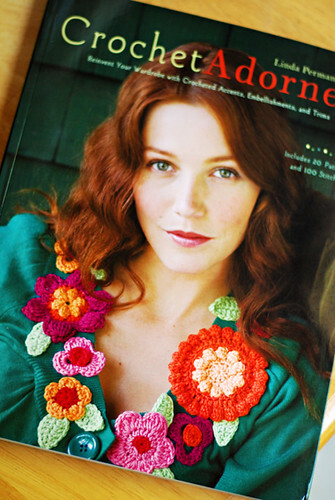 I haven’t been much of a crocheter for the last few years, but I’ve felt pushes here and there lately to get back into it – and Linda Permann‘s new book is a huge push! 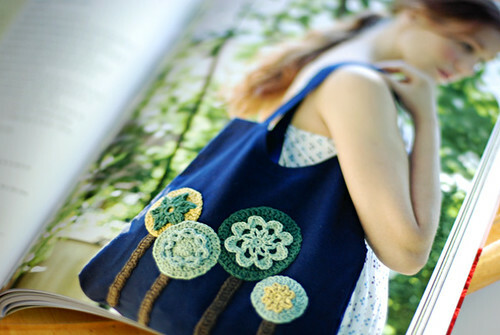 Full of not-too-intimidating, smallish crochet projects, which then get combined with fabric or clothing to make bigger pieces, there are some absolutely gorgeous designs, and some brilliant ideas! 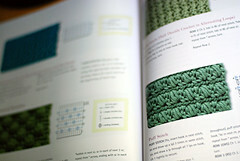 And speaking of beginners – the book starts out with a fantastic Techniques & Materials introduction to crochet, going through all the basic stitches, how to read patterns and diagrams, etc. All the patterns in the book are given in both written and diagram form, so you can use whichever is easier for your brain. 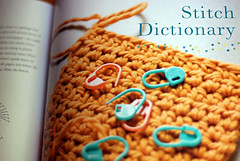 The book ends with an awesome 40 page Stitch Dictionary, full of beautiful stitch patterns that you can use to make up your own designs! I will totally be using the heck out of this section! 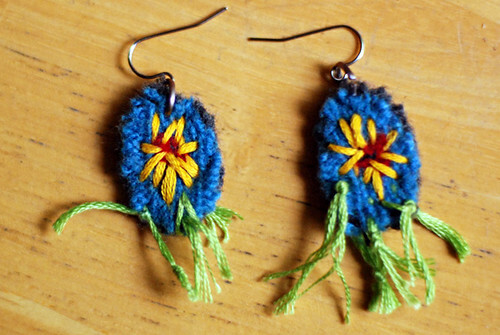 There are lots of trims and motifs too, in addition to the stitch patterns. Lastly, I love the design of this book! It’s so pretty! 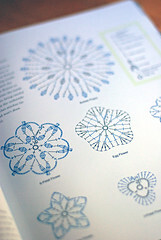 Everything is well photographed, the diagrams are big and easy to read, the illustrations in the techniques section are great, and I even love the fonts! So that’s it, my hooks are coming out of hiding! Portlanders! Linda is in town right now! She will be at Powell’s tomorrow (Thursday) at 7:30, and also at Yarn Garden on Saturday! I will definitely be at the Powell’s event – hope you can make it! 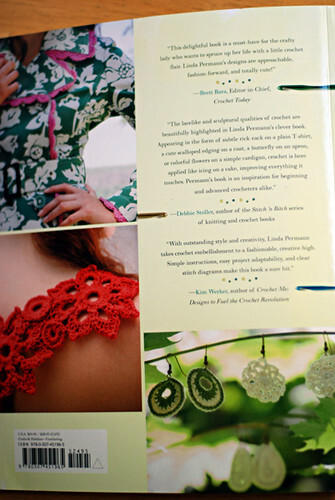 Also, Diane reviewed Crochet Adorned this morning, so you can see that post for more images and details; but more importantly, Diane is giving away a copy of the book! She designed one of the projects too! So go win yourself a copy, but if you’re not the lucky winner, I definitely recommend adding this book to your craft library! Yeah it was a fun weekend! I didn’t take tons of photos, but those are a couple highlights… Walking around the luminary panel room before it started, I was stopped by the friends of that sock monkey and asked to pose for a picture for something ravelry-related. It just so happened that I had my mask in my bag (because I’d forgotten to bring it to the ravelry party the night before as planned), so since that’s my ravatar, I went for it and slipped it on! I’ve now learned the the monkey was traveling from Northern Ireland! 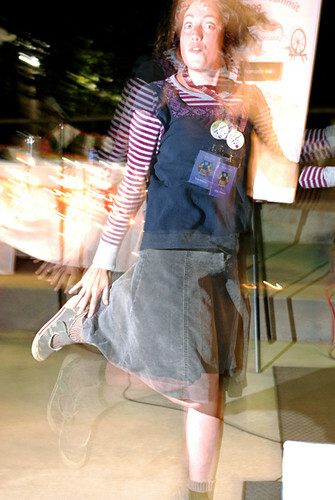 And then the other shot is of Star at the rav party demonstrating our awesome new dance move we invented! Ok so moving back to the beginning of my Sock Summit adventures… As I mentioned in my last post, I went over on Friday for the book signing – got books signed by Barbara Walker, Judith MacKenzie McCuin, Clara Parkes, and Cookie A. They were all super nice and friendly (though I couldn’t say anything more than “Hi… Thank you.” to Barbara Walker). I hadn’t even been planning on going over on Friday, but I was following the #socksummit tweets all day Thursday and wanted to be a part of it all! So glad I did! Besides the authors who signed my books, I also got to sort of be part of a conversation with Meg Swansen (Elizabeth Zimmermann‘s daughter) – she is SO friendly and nice and cool! And I met Amy Singer who recognized and hugged me! 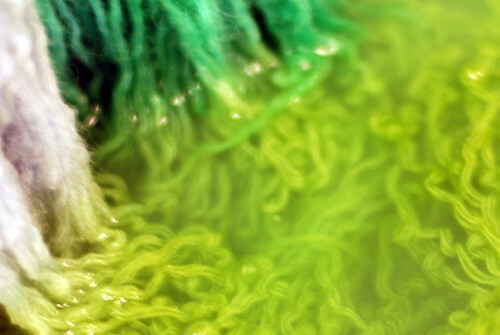 Knitters are so awesomely friendly, yeah! Then I started wandering around the marketplace, and Star found me and told me all kinds of crazy stories from the teacher dinner and other festivities – famous knit designers are full of silliness!! So rad that Star got to be a part of that! 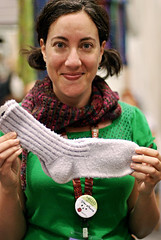 And she scored a pair of socks knit (and worn) by Barbara Walker (pictured above) – insanity! That other photo above is just somewhere inside the convention center that reminded me of the Bellagio in Vegas – not Sock Summit related, but I only took the one Star sock photo that day. So then on Saturday I headed back over to the marketplace and hung out and saw some people, then we hopped on the MAX which took us straight to the ravelry party! 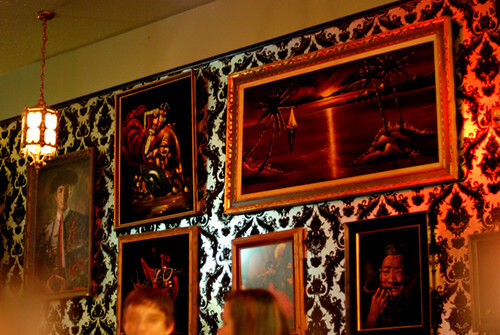 (Such great planning to find a fabulous venue that happened to be a perfect MAX ride away from Sock Summit.) 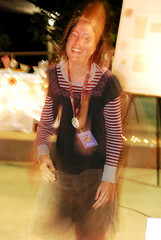 The rav party was so great!! 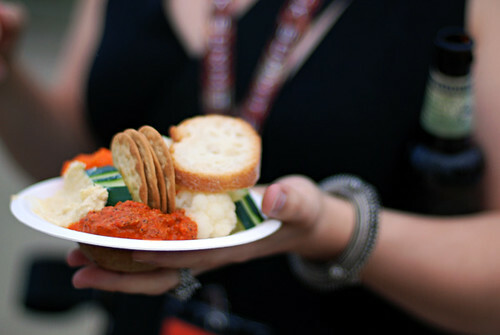 As you can see above, delicious (free) food – all vegetarian, 4 different dips/spreads, plus yumm cookies – and (much cheaper than expected) Deschutes including Green Lakes Organic! I was so happy to get to meet Jess and Casey and tell them in person how much ravelry means to me and my design career – hope I didn’t come off gushy, but I really don’t think I could be anywhere near where I am if it weren’t for their awesomeness! And by the way, they are all (MH too) super awesome in real life! We had a fantastically silly time, staying all the way to the end to help clean up a bit. We really wanted it to turn into a dance party towards the end, so we just did, even though it wasn’t really spreading beyond our little group. Didn’t take tons of photos like I’d planned to because I was having too much fun, but Star laughing below and that dance move at the top pretty much sum up the night! Those ravelry folks sure know how to throw a party! Thanks rav team!! After that, then the after party too, it was tough to get my tired self back to the convention center for the luminary panel yesterday, but I managed to get there early enough to buy one souvenir (wanted much more, but could only allow myself one thing) before the marketplace closed. Got stuck over with a bad view of the panel, but besides that, it was amazing! 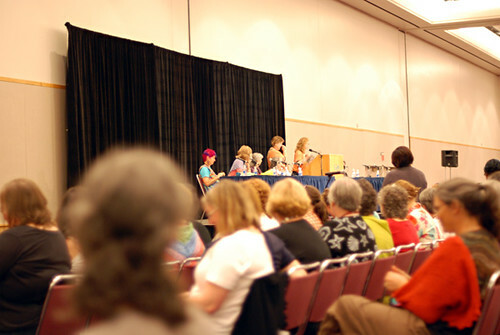 Lucy Neatby, Cat Bordhi, Deborah Robson, Anna Zilboorg, Priscilla Gibson-Roberts, Meg Swansen, Barbara Walker, Judith MacKenzie-McCuin, and Nancy Bush, addressing topics like the changing knitting business, self-publishing, copyright/respecting intellectual property, and Elizabeth ZImmerman. I thought it was really interesting hearing about how the business of knitting has evolved from being about the finished product to now being about the process, with value on the designs/ideas and intellectual property rather than finished items. This is all obvious when you think about the knitting world, but it’s a conversation I’d never really heard before. Such amazing women! I feel SO lucky to have been there – even if there is another Sock Summit, I’m sure that panel will never exist again. Oh, and it happened to be the 99th anniversary of Elizabeth Zimmerman’s birth, so the event ended with all 1000ish people singing happy birthday and eating cake and tarts! Sock Summit = amazingness to the max! 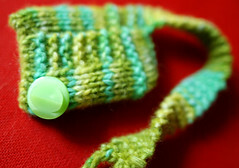 You may have seen that first shot (taken on Thursday) in my Threadbanger Sock Knitting roundup – I love how the green lightening bolts look on the heel! Well I’m so close on this first sock, but I’m having to break it up with work knitting, so I don’t know when the second one will happen… If only I was like Barbara Walker and was fine with only 3-4 hours of sleep each night, I could get so much more done!! 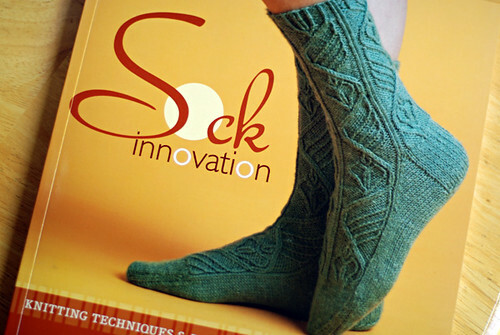 As the cover says, Sock Innovation is “knitting techniques & patterns for one-of-a-kind socks” – over a third of the book is all about sock design, for designing from scratch or modifying designs. 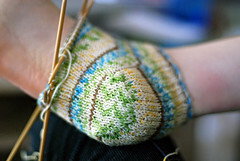 From the parts of a sock and how they relate, to stitch pattern elements and how to use them, to charting your stitch patterns, to the steps in designing your own socks; there’s tons of useful info for knit designers in general, as well as great stuff for sock knitters to know about, even if you’ve no interest in designing your own. 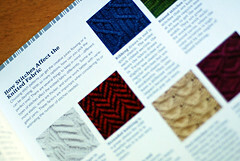 …If you feel a little bit adventurous, modify these patterns to fit your needs. 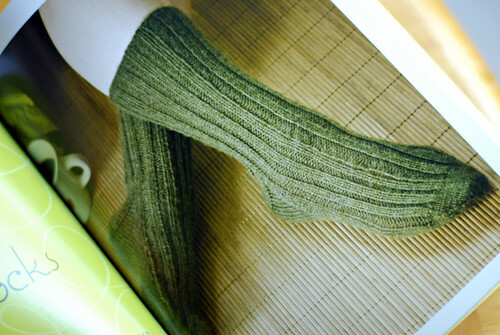 Once you are comfortable with customizing existing sock patterns, branch out on your own. 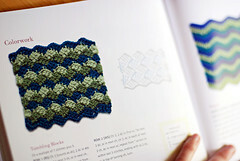 There are many stitch pattern books to peruse for ideas and inspiration. 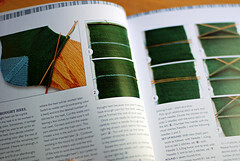 Or, if you are a truly adventurous knitter, try devising your own! There are so many possibilities, and the sock can be your empty canvas. 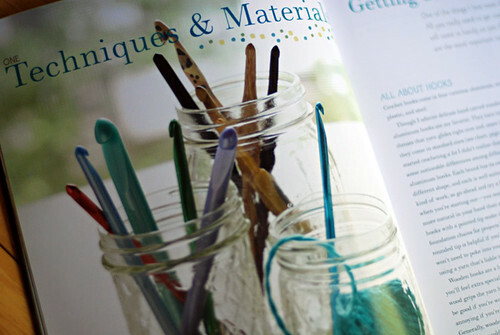 Honestly, I don’t expect that I’ll become a true sock knitter anytime soon, but I will definitely be using this book for hat, etc design inspiration and information! 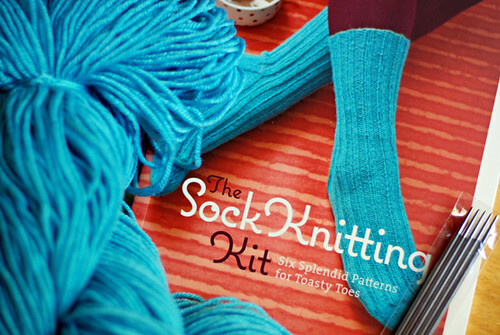 As for all of you sock knitters out there – I don’t have other sock books to compare this one to, but it seems like a great addition to any knitter’s bookshelf! 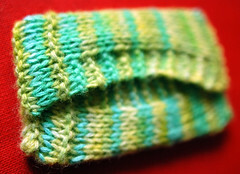 When my buddy Star blogged yesterday that the mayor officially declared this to be Sock Knitting Week in Portland, my Sock Summit excitement reached a new level and I decided that I couldn’t be just a passive Portland knitter in all this sock madness – I need to be a participant! So I did it, I cast-on for my first sock last night! 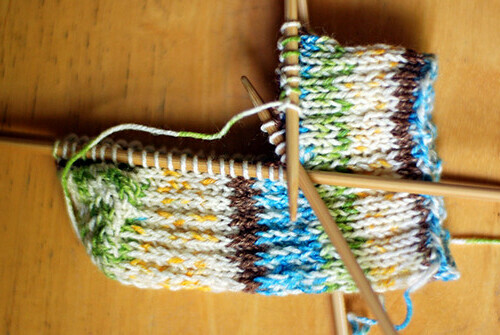 I had a skein of this self-patterning sock yarn (Sockotta) I got free at a craft swap awhile back, so I figured that would be a good way to start – try a super basic pattern, but the yarn will make it more interesting and I’ll be more likely to finish the pair! As for the pattern, well that’s where the review comes in…. 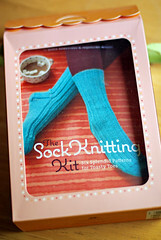 I was given The Sock Knitting Kit awhile back, and had it on my shelf, looking sad, like “Are you ever going to try me? Why are you such a sock hater?” I’d opened it up and looked through everything, always planning to someday give it a shot. So yeah, yesterday was that day! 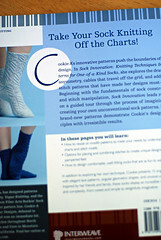 I read through the book, checked out all the patterns – seemed like a good way to step into the big, scary world of sock knitting! And then there are 6 patterns – from the basic Unisex Socks on the cover (and above), to the crazy Mukluks slipper socks pictured above! It’s a good variety – super short Cheerleader Socks, Toddlers’ Bobby Socks, Knee-Highs with duplicate stitch embellishment, and over-the-knee Pink Stockings. And of course, the kit includes a skein of (unknown) yarn for one pair, and a set of double pointed needles (size US 2) to get you started. So, for my first pair, I chose the Unisex socks, but I decided to use 3×1 ribbing instead of 2×2 because I thought that would look better with the self-patterning yarn. Then, once I was seeing how it was knitting up, I decided to stop with the leg section after only an inch and a half instead of 8 inches, for little ankle socks. 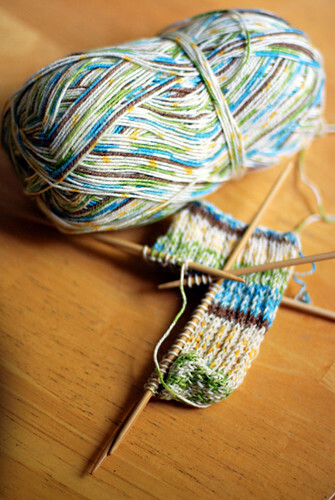 I’m using size 4 needles, which are the smallest I’ve ever used, and about 6 sizes smaller than my average size that I’m used to, so I’m having a hard time with them – I know true sock knitters are finding this hilarious because size 4’s are HUGE! I chose 4’s because I’m a tight knitter, and since the pattern recommends 3’s, I thought I’d be good with 4’s (I didn’t gauge swatch, yeah I’m a terrible knitter, I know). So, the gauge is a bit loose and I’m not super loving how the yarn is knitting up, which is one reason I stopped at the ankle; the other reason being that I figured if I tried making the full-sized versions, I’d never finish! I don’t know if I’ll have a pair ready in time to wear them at Sock Summit, but at least I’ll no longer have to say the closest I’ve come to sock-knitting is slippers on size 11’s! 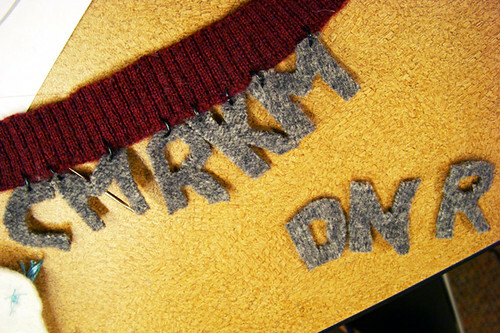 Quick Knits Club sneaky preview! 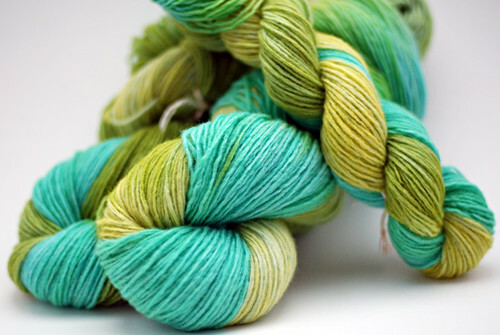 Of course it’s all getting over-dyed, and you don’t get to see exactly what the club yarn will look like, but you do get a peek! Mmmm greeeeen! Ok I’ve shown you too much already! But, you know, I understand that it’s hard to sign up for a club if you have no idea what you’re gonna get, so I wanted to give you some kind of idea. In other news, I’m getting so pumped up by all the Sock Summit excitement around twitter and blog-world that I’m actually about to start casting on for my first ever pair of socks!! Whoa! More on that later, for sure! My own personal Best of Portland! 10/22/2011: I’ve been living here in Portland for over twice as long now as when I wrote this post, so perhaps an update would be nice, eh? 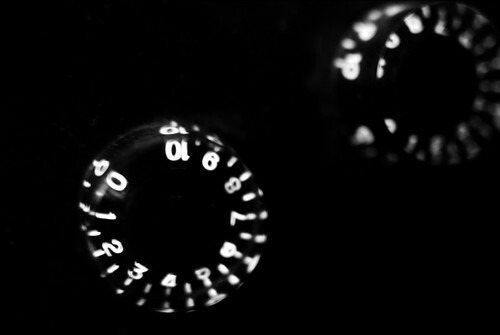 Most of the places I loved back then, I still love (or at least like) now, but I’ve made many new discoveries, and some things have changed… as noted, new things and changes to the list are italicized or crossed out. 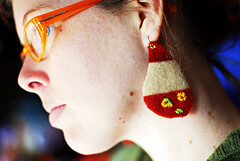 I’m superduper excited that Sock Summit is happening right here in Portland – not being a sock knitter myself, I wouldn’t have enough of a reason to travel if it were elsewhere, but since it’s here, I’ll get to attend the luminary panel, the ravelry party, check out the marketplace, and be a part of the fun! For any readers who are traveling here this weekend, I thought I’d take this opportunity to make a list of my own personal favorite Portland spots! We have so many (SO many) favorite spots in this amazing city, it’s hard to condense it, so I’m including multiple choices in different areas for some categories. These are all places that are seriously worth making it to while you’re in town! 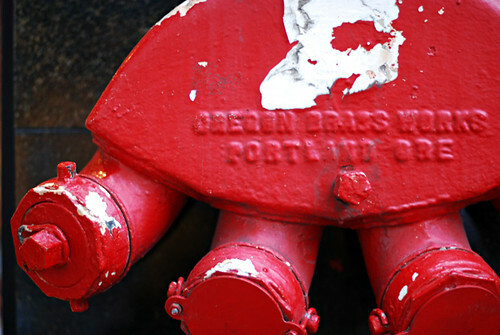 As for navigating – Portland is divided into 5 quadrants (yes, 5, I know) – SE (my hood! ), NE, SW, NW, and North – and all addresses have the quadrant in the street name, making it easy to figure out where things are! Also helping make for easy navigation is the grid system – most of the city has numbered streets running north-south, starting at the river, and counting out. So, if an address is something like “3723 SE Hawthorne Blvd” you know it’s in the SE quadrant, and the number means its nearest number cross-street is 37th (37 blocks away from the river) – making it super easy to find even if you have no idea where that is! Just find Hawthorne on your map (I use old fashioned paper maps – if you have a gps thing, then this whole navigation explanation is irrelevant anyway) and follow the numbered streets till you hit 37th. By the way, I am totally east-ist, so most of these spots will be on the east side of the river. Also, I don’t eat meat, so all the food places have great veggie options, but they all have plenty of meat too! 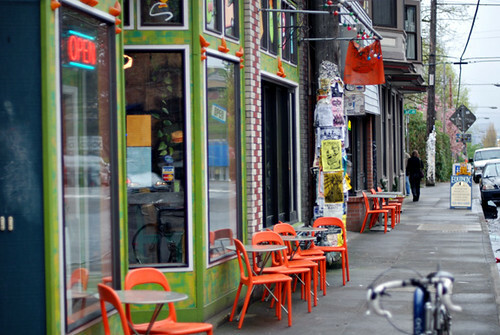 Portland is fantastic about food diversity – most everywhere you go has plenty of choices for all eaters! And, designing hats hasn’t exactly made me rich (yet? hah!) so all of our favorite spots are way on the cheap side or have great affordable options! Note: new places added 2 years later (in October 2011), are italicized, and anything I wrote then which is no longer true (or no longer existing) is crossed out. 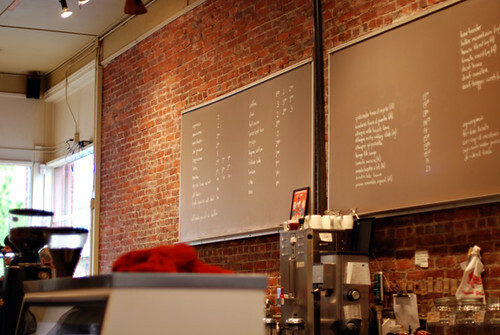 Best Portland Coffee: Stumptown – this isn’t a personal preference thing, it’s just a fact. *The border between SE+NE and SW+NW is Burnside – if an address is on Burnside, it’s either E Burnside or W Burnside. So these spots are in the middle of the east or west sides, between north and south. I highly recommend picking up a copy of The Zinester’s Guide to Portland, which you’ll find at any Powell’s location, or any bookstore that carries zines (which means any Portland bookstore that’s not a national chain) for about $4 I think. We grabbed one of these for our first trip up here, and I don’t even know what we’d have done without it – it does a great job of getting you oriented (explaining the quadrants and neighborhoods, etc) and lists tons of great places with reviews. 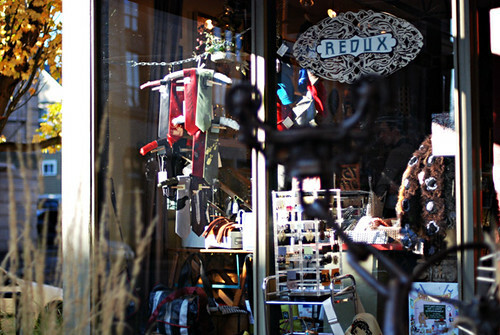 Portlanders – please feel free to list some of your personal favorites in the comments, so travelers can have more variety in recommended spots! 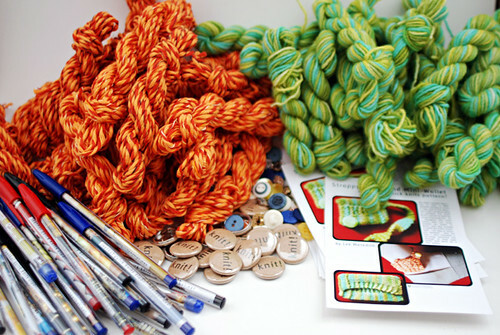 …plus 11 bracelet mini-kits in all different colorways! 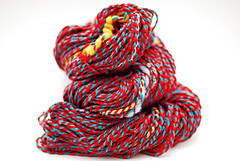 I’m so excited to have my yarn for sale now in my favorite local yarn shop! If you’re visiting PDX for Sock Summit, definitely don’t miss Twisted! Not only are they super supportive of local designers and yarnies, but they have the nicest staff ever, an awesome tea bar with custom teas like the Dr. Horrible blend, and if co-owner Shannon’s Hazel happens to be in the shop, you’ll get to meet one of the sweetest tiny people in the whole world! Oh and speaking of Twisted, I’m teaching a Skoodlet class there in October! 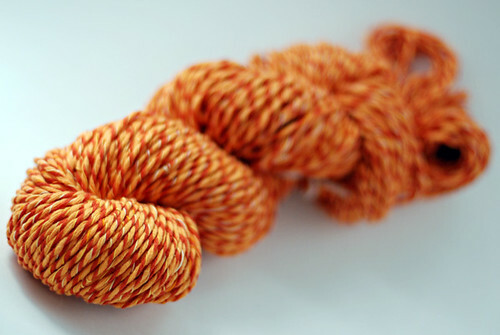 And then lastly, speaking (a second ago) of handspun yarn, 4 more yarns are now up in my shop, including 1 skein of spun recycled (pictured above)! Ok that’s all. Let me know if you visit any of my favorite spots! I’d love to know if I introduced you to a new place that you love! I might be adding more to the list if I think of any I forgot… if I do, I’ll put them in italics so you know they’re new. Oh and if you want to know about any of the photos, just click through to the flickr pages. Yay Portland!